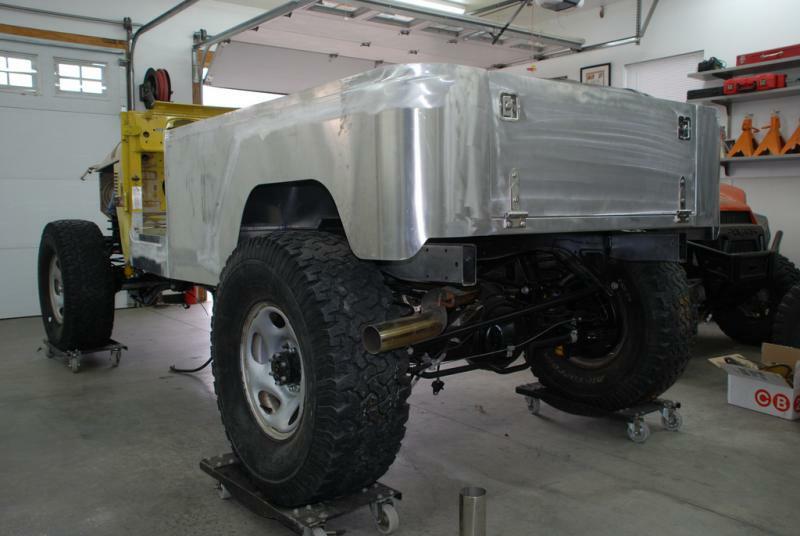 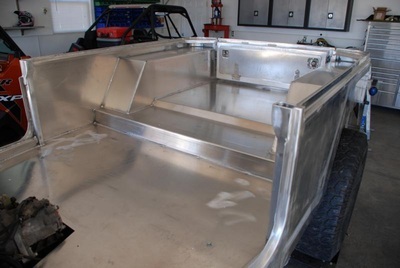 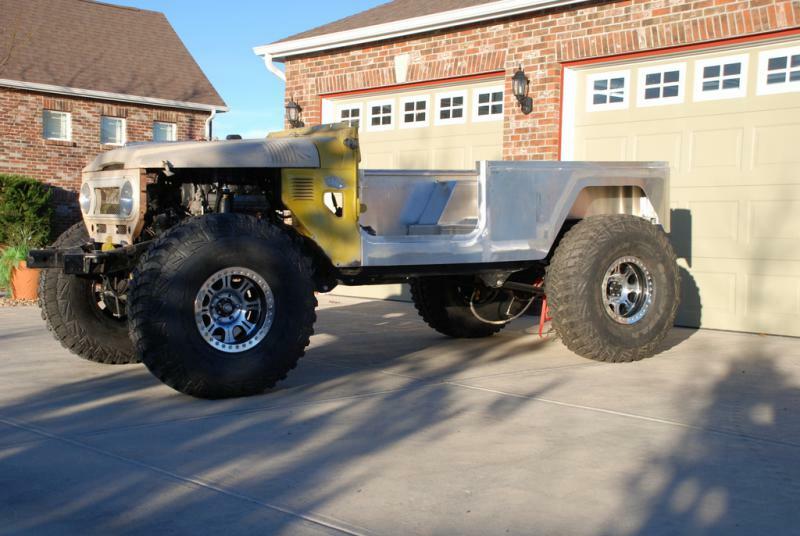 This FJ80 body was inspired by an FJ40 that has been stretched 18” just behind the door and the rear wheel wells moved back an additional 4.2” to accommodate a stock FJ80 wheelbase of 112.2”. 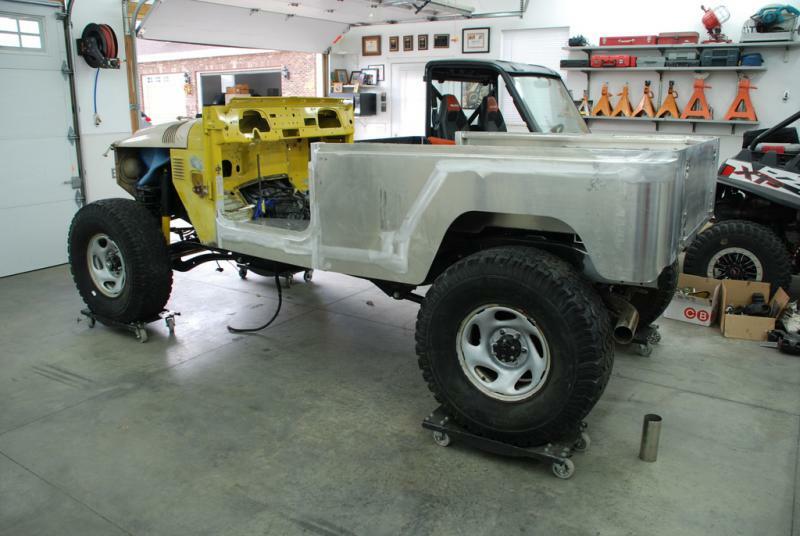 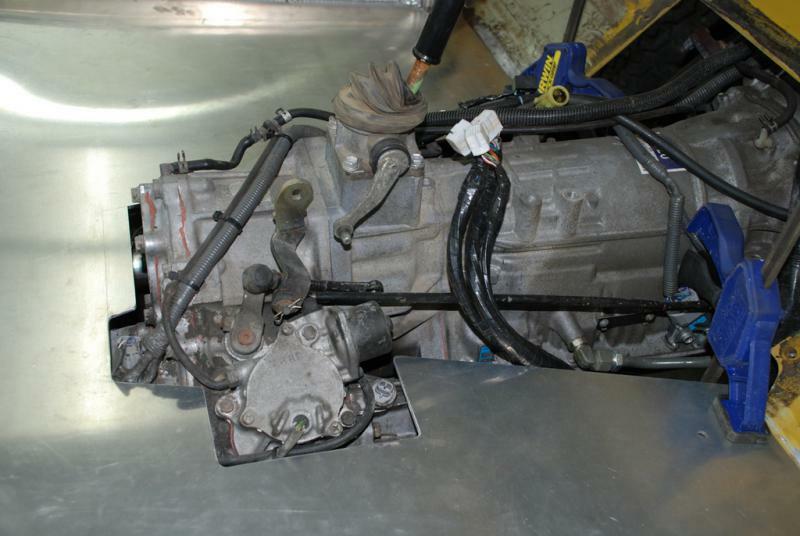 ​The FJ80 engine, transmission and transfer case is more forward over the front axle than a FJ40. The FJ80 drive train will need to be moved back approximately 10". 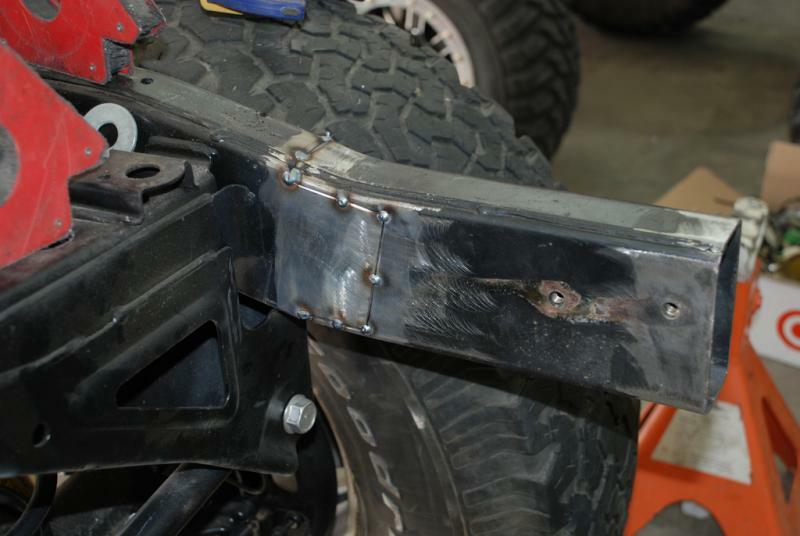 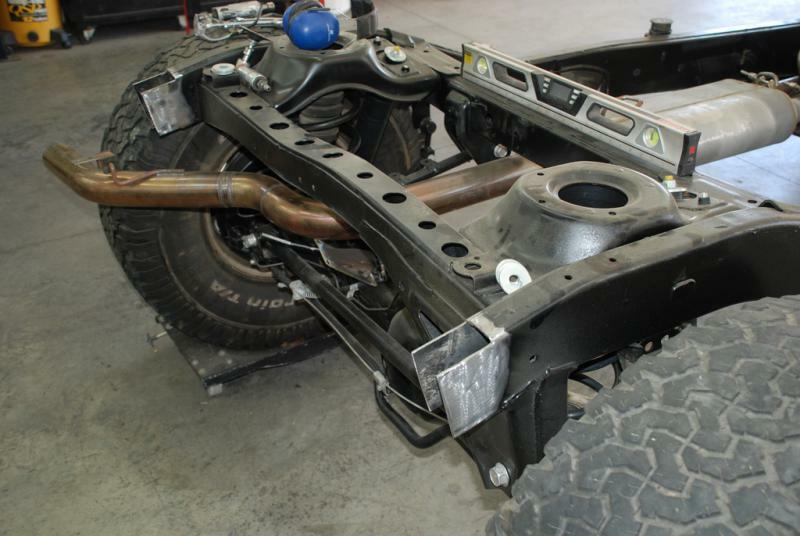 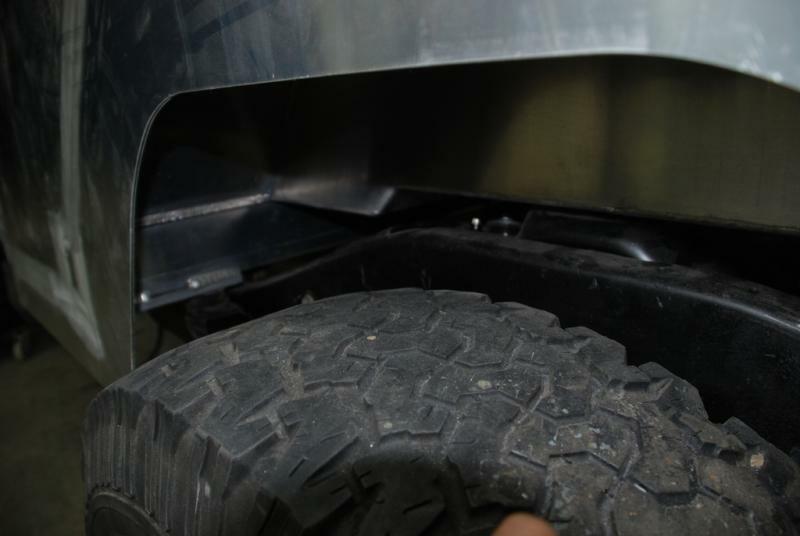 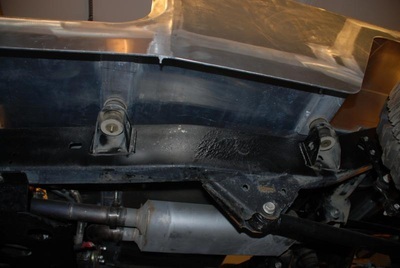 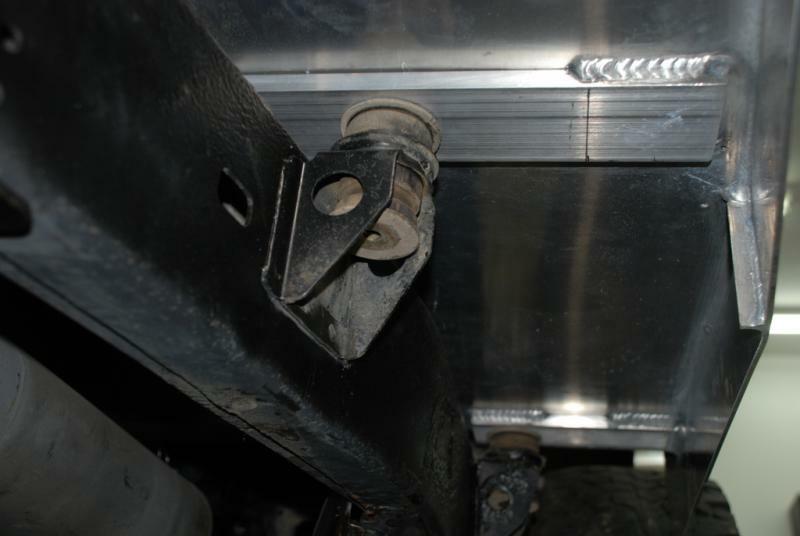 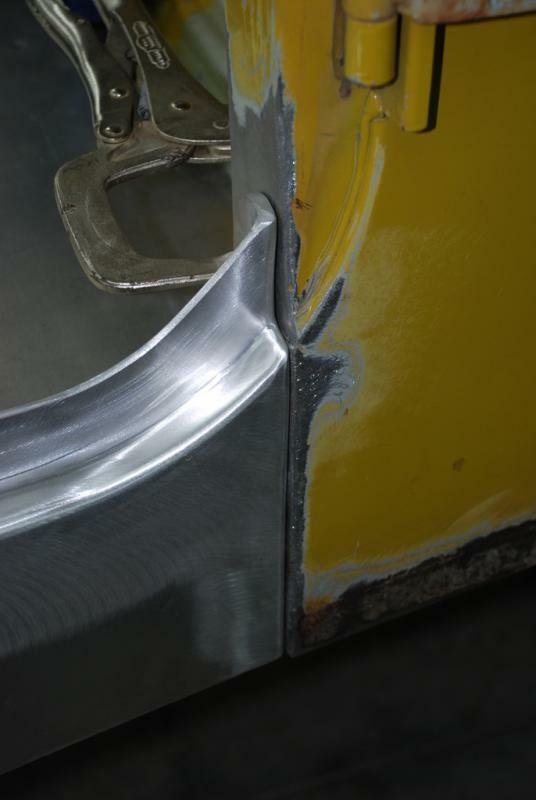 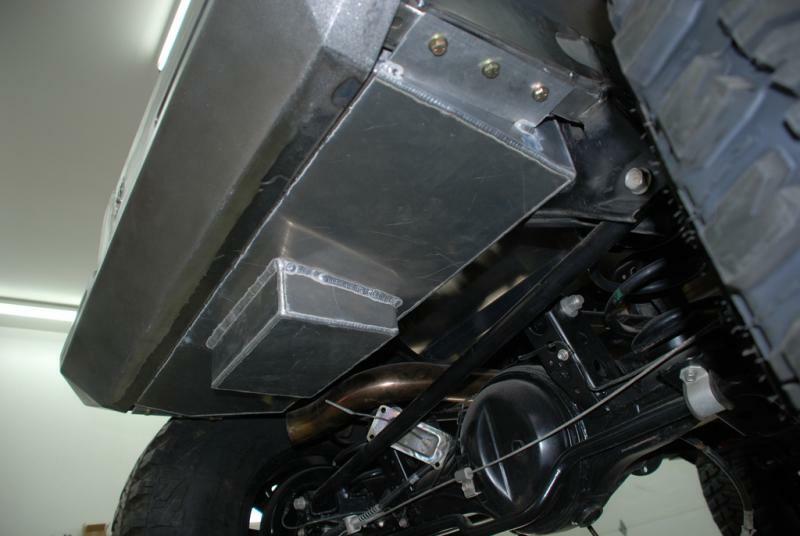 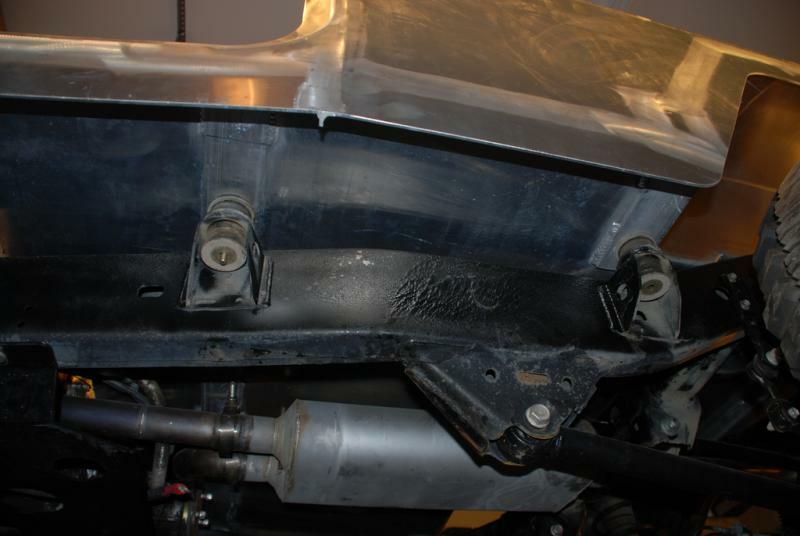 The back of frame must be cut-off approximately 13-3/4"
The FJ80 engine, transmission and transfer case is more forward over the front axle than an FJ40. 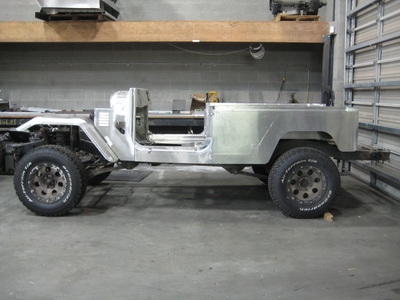 To maintain the same look and tire clearance, the FJ80 drive train will need to be moved back approximately 7”.